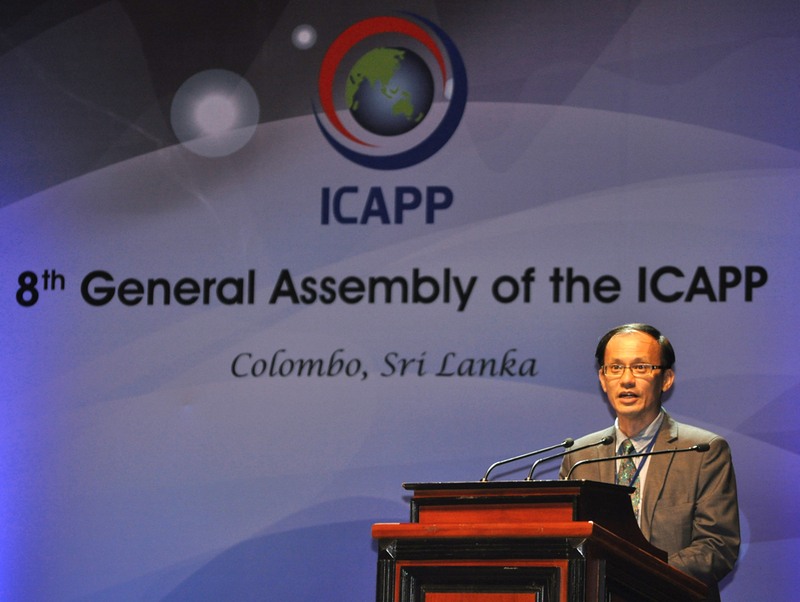 The following is my speech delivered on 19 September 2014 at the International Conference of Asian Political Parties, 8th General Assembly at Colombo, Sri Lanka. The theme for the General Assembly was “Building An Asian Community”. I had attended the ICAPP 8th General Assembly held in Sri Lanka from 18-21 September with 2 colleagues from WP Youth Wing. Also from Singapore were representatives from the Singapore People’s Party. The event provided an interesting exchange of ideas with some 300 politicians from the ruling and opposition parties of around 30 countries. Asia has very diverse cultures, religions, geographies, ideologies, types of governments and state of economic developments. Throughout the proceedings, many speakers including myself had referred to the Asian century. As I listened to the optimism and occasional words of caution sounded by the speakers of the enormous potential of Asia, I was reminded of a discussion during my General Paper (GP) tutorial class in college over 30 years ago. The topic then was about Africa. After World World II, there were many countries that were gaining independence. Africa was exuberating with confidence as their resource-rich countries broke away from their colonial master. Sadly, with wars and mismanagement, the huge potential of Africa did not materialise, perhaps not yet. Asia is now indeed racing ahead with many of its huge economies on the rise. However, political leaders must guard against terrorism, internal and external conflicts and narrow-minded policies that can tear a country apart. Good afternoon, Mr Chairman and honourable delegates of ICAPP. As introduced, I am a Non-Constituency Member of Parliament in Singapore’s 12th Parliament. I am here with two Youth Wing colleagues of the Workers’ Party. They are currently in the youth wing session delivering a speech. 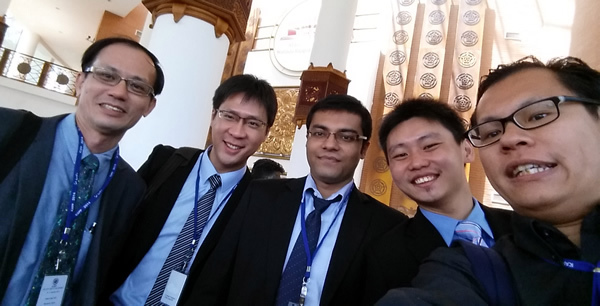 Thank you for inviting us to be at this gathering of political parties across Asia. I am happy to be back in Colombo. My last trip here was for the Commonwealth Parliamentary Association’s conference in 2012, also in the month of September and also in this same venue. I had received warm hospitality from the host during that trip so I am glad to be able to come back for this ICAPP General Assembly. Geographically, Singapore is a small country by land size, somewhere in the middle of South East Asia and Asia. Since the founding of Singapore by the British nearly 200 years ago, the country had thrived by being a trading hub and more recently as a business, financial and technology hub. Next year will be the 50th year of our independence. Four years after that will be our 200th year since Sir Stamford Raffles founded modern Singapore. As a small trading nation and business hub, peace and cooperation with other countries, especially in our region has been very important to Singapore. I am personally alarmed and saddened by the recent increase in violence and conflicts globally, such as in the Middle East. Even though the Middle East conflicts are far away from Singapore, in our interconnected worlds, it is nevertheless very close to home. Once a while, we hear of volunteers from Singapore and from our nearby region joining the ISIS movement. Yesterday, as I was travelling here, I heard the news that an ISIS network was broken up in Australia, fortunately before they could strike within Australia. These are dangers we must constantly guard against if we wish to build a strong Asian community. Singapore is a multiracial society comprising of four main races – Chinese, Malay, Indians and Eurasians. We also have many new immigrants amongst us, especially from Asia. Foreigners comprise nearly 40% of the population in Singapore today. Hence we have a rather diverse Asian community within Singapore. It is a challenge that we have to take on an ongoing basis to preserve the peace and harmony amongst one another. The relative peace between different ethnic groups and people of various faiths has been a key to enable our economic progress. Hence I look forward to peaceful developments in countries across Asia, despite the challenges of many diverse religions, ethnic races and ideologies. Only peaceful development and cooperation with one another can help realize the potential of the Asian century. The Workers’ Party of Singapore was formed in 1957. As the name implies, we started with a socialist incline. Currently on the political spectrum, we can be considered as being centre-left. Those who follow Singapore politics may know that the ruling party has been in power since the self-independence of Singapore in 1959. From 1968-1981, there was no opposition presence in parliament. From 1981-2011, there were between 1-2 members of the opposition in parliament. In 2011, the Singapore electorate voted in a record six members of the opposition at the General Elections. Today, there are seven elected opposition members and three non-constituency opposition MPs in our parliament. While this is still a very small number compared to that of many countries here, it was nevertheless an important political milestone for us. I believe greater political competition and political diversity is yet another important development in our relatively young country’s progress. I believe we are not alone in Asia in moving towards greater political diversity as the proliferation of social media and the rising levels of education of the people have driven the desire in many countries for more political diversity. Our team is happy to be here in the midst of so many political parties in Asia, the largest and most populous continent on Earth with so much political diversity. We look forward to fostering friendship and cooperation with the many political parties here. Thank you.